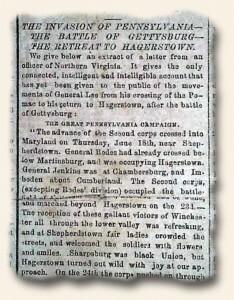 This week I traveled back to July 5, 1865 by the way of The New York Times. 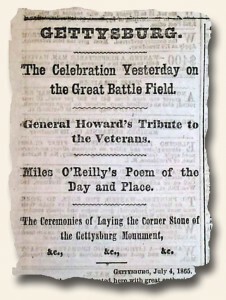 There I found the reporting of “The Celebration Yesterday on the Great Battlefield” at Gettysburg. 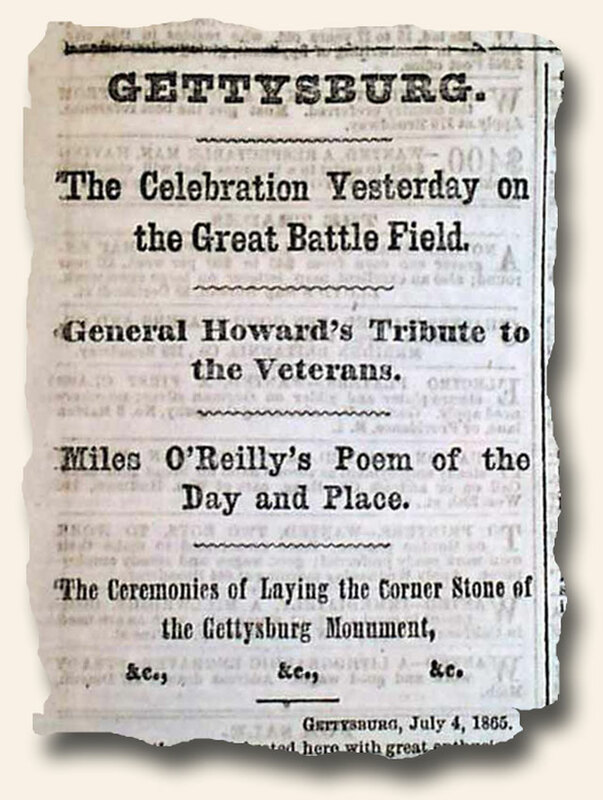 There they had “The Ceremonies of the Laying the Corner Stone of the Gettysburg Monument.” Many generals were on hand for this occasion with General Howard being the orator of the day. 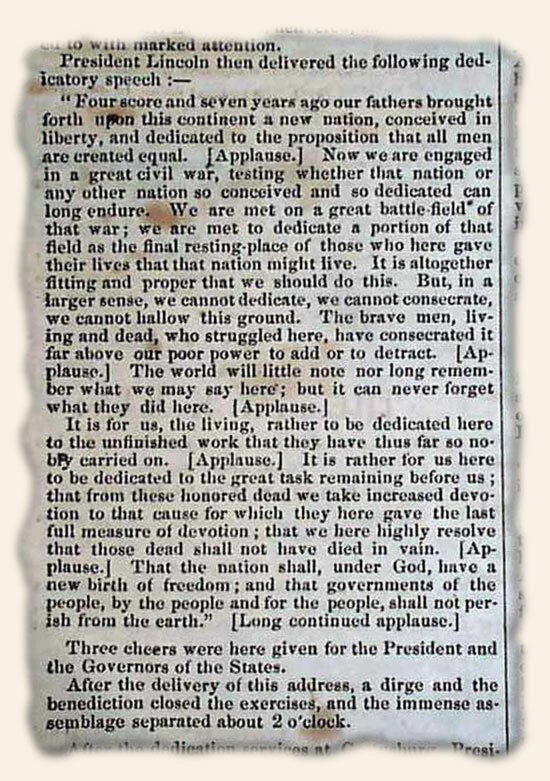 Within his speech, he included Abraham Lincoln’s infamous “Gettysburg’s Address”, which is included in the text of the article. Today I traveled back 150 years to the battlefields of Gettysburg, Pennsylvania, through the means of the reports of the Confederate broadside newspaper, the Daily Dispatch — Extra dated July 5, 1863. 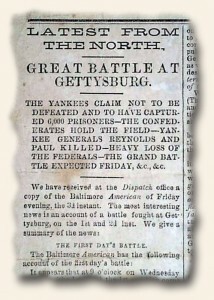 The headlines read “LATEST FROM THE NORTH” and “GREAT BATTLE AT GETTYSBURG”. “The Yankees claim not to be defeated and to have captured 6,0oo prisoners — The Confederates hold the field — Yankee Generals Reynolds and Paul killed — Heavy Loss of the Federals — The grand battle expected Friday, &c., &c.”. This broadside carries in great detail the battles of Wednesday, July 1st, and Thursday, July 2nd. As we know, this was the bloodiest battle (non-single day) in the Civil War with the loss of over 51,000 lives and is known as the war’s turning point.